Cuddly toy, ball, toy car and drum – the nursery is full of great toys! 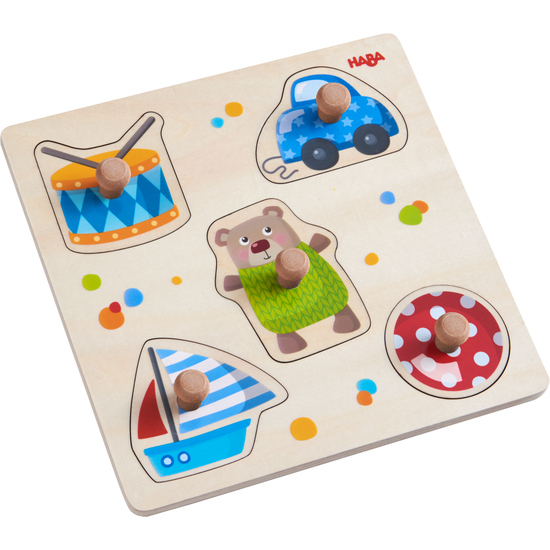 With this clutching puzzle, children can sort their favorite toys according to the matching pattern. The puzzle pieces are easy for small children to manipulate. They will enjoy piecing the puzzle together on their own or with others.